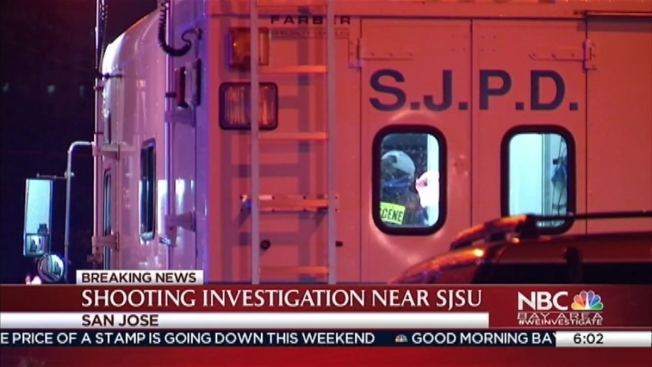 Police swarmed the area early Friday morning after a late-night shooting outside a taco truck a near San Jose State University. The man was taken to the hospital with life-threatening injuries after being shot about 11 p.m. Thursday in the 400 block of E. Williams Street near the campus, San Jose police officer Albert Morales said Friday. Felix Palacios, who owns Spartans Taco Truck on Williams Street, told NBC Bay Area on Friday that he was inside working when he thought he heard one or two gunshots. He came outside to see that someone outside his truck had been shot, and no suspect was in sight. Palacios thought it seemed like a drive-by. The motive is unclear, Morales said, and the suspect has not been identified or arrested. Early Friday morning, crime scene technicians were seen placing markers and collecting evidence.